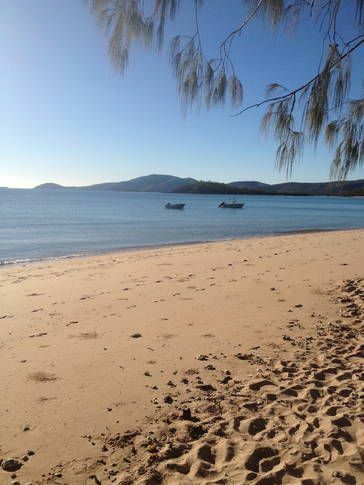 The beaches and gardens provide a pleasant backdrop to your vacation home in Bowen. This city's water park, coffeehouses and sailing draw many visitors. If you need more space to accommodate a family vacation or friends trip, rental homes often come with separate dining areas and spacious living rooms. If you're hoping to enjoy some warm-weather activities on your vacation, December, February, January and March are the hottest months to visit, when temperatures average 88°F. The nearest airport is in Proserpine, QLD (PPP-Whitsunday Coast), located 39.4 mi (63.4 km) from the city center. If you prefer train travel, make your way to Bowen Station or Euri Station and explore the city from there. Where to stay around Bowen? Our 2019 accommodation listings offer a large selection of 28 holiday lettings near Bowen. From 24 Houses to 2 Studios, find unique self catering accommodation for you to enjoy a memorable stay with your family and friends. The best place to stay near Bowen for a long holiday or a weekend break is on HomeAway. Can I rent Houses in Bowen? Can I find a holiday accommodation with pool in Bowen? Yes, you can select your preferred holiday accommodation with pool among our 13 holiday homes with pool available in Bowen. Please use our search bar to access the selection of holiday rentals available.